This entry was posted on March 22, 2010 at 11:47 pm and is filed under Culture, Economics, History, Politics. You can follow any responses to this entry through the RSS 2.0 feed. You can leave a response, or trackback from your own site. You fools on the right with this repetitive drivel about the evil forces consuming this country need to understand your history and political philosophies a little better. You spew irrational, untrue garbage, vomiting all over the truth. Please make up your mind on this. It shouldn’t be too difficult since your collective mind is – and I’ll be generous here – approximately the size of a pea. Either we are going socialist/communist, as your depictions of Obama and Pelosi along with Stalin, Castro and Marx (not Groucho) would indicate. Or we are going toward fascism, as you allude to in this piece of “work”. I’m not sure if you know this but the two political philosophies are diametrically opposed to one another. While both are totalitarian states, you’ll have to pick which one you are actually threatened by in your fantasy land. We get it… you can’t handle a black man in the White House. You can’t handle a fir and just society because in a fair and just society we’d have an even playing field and your incompetence would be exposed and you would rise (or more likely sink) to an appropriate depth. The America you dream of one where white people rule again – has slipped away from you and you’re all losing that little pea of a mind. I’m so sorry that this calamity has befallen such decent, upstanding folk. I truly am. I can’t imagine how horrible this must be for you. It’s too bad Dante isn’t around anymore. He would have to revise his Inferno to include another level of Hell to accommodate the fine folk on the right. I wish I could be there on Judgment Day to see the looks on your faces when you find out that you are cosmically screwed. You deserve your own exclusive level. Otherwise you’d have to mingle with the kinds of people you’d just as soon avoid and that would be for eternity! Up to now, I thought this blog was simply a right wing social commentary that might possibly have a chance for an exchange of ideas. I thought wrong. It’s merely a spewing of hate and fear and I have no interest in either. It is a waste of words and precious time responding to crap like this because this demonstrates how little you are interested in ideas and I’ll have no more of it. Well, Dave, just what kind of hate and fear do you mean? Like maybe telling someone that they deserve to go to Hell? How about that they “spew” garbage or “vomit” all over the truth? Or that they have a pea-sized brain? Or, how about implying that somebody’s a racist? Is that the kind of hate and fear you mean? Speaking of racism, it has been my experience that the most racist people in this country are Liberals and Progressives. Whenever someone has the temerity to disagree with a black man (or woman), their immediate reaction is to assume that it must because he’s black. That it just can’t be because his views are simply wrong. It must be because of the color of his skin, because, you know, it’s just not politically correct to pick on black people, especially when they sound so “articulate” (ref. Joe Biden) and have worked so hard to make liberal white folks feel so doggone comfortable around them. Isn’t that right, Dave? And your hysterical confusion about my use of the examples of Communism and Fascism frankly bewilders me. It must stem from the fact that you completely miss, what one would think, is a very basic point. Namely that under this President we are lurching towards a brand of authoritarianism. Call it what you will: Fascism, Communism (or that kinder, gentler Socialism). What it looks like when we get there is beside the point. The point is that Progressives and Progressive policies – draped in happy words and phrases like “compassion” and “social justice”—are what will take us there. This healthcare law is a big step in that direction. And parenthetically, the two philosophies are not “diametrically opposed” to one another. The Nazis called themselves National Socialists, remember? And while Hitler professed to be anti-Communist, he had no problem nationalizing formerly private industries, fixing wages and prices, and compelling German workers to join all manner of state-run organizations and further state-run economic programs. Even today, look at what so-called “Communist” China has evolved into. Is what they now have Communism? Is it Fascism? A little of both? You tell me? But please, don’t tell me we need to be more like them! If you want to talk about diametric opposites, both systems are the opposite of what works: Capitalism, a system with which your leader quite obviously has deep ideological issues. Finally, you are right about one thing: if you had previously thought this was a site where someone like you could exchange your “ideas” then, yes, you thought wrong, but not for the reasons you ascribe. It is because the problem is with you, Dave. If you go back and actually read your comments, you’ll see that you are the one who spews, you are the one who is full of hate, and you are the one who is uninterested in ideas, because, frankly, you have none other than what the liberal media and your beloved Hollywood tell you to think. And that, sir, is not of any interest to me. Utterly brilliant! No more needs to be said. Huh? Look, try to use short, declarative sentences. Then people might be able to understand what you’re trying to say. You assault your readers. You speak in nonsensical, rhetorical questions. You spew ill-informed propaganda. 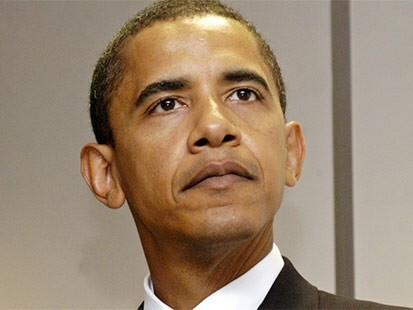 You are scared to death Obama has some socialist, terrorist, fascist agenda…depending on your mood of course. You make racist statements in the form of childish name calling. You insult an entire nation for denying Coulter to speak(something that should happen more often.) The obsessive onslaught of blog posts only shows how threatened you are that not everyone harbors such an insecure, delusional thought process. Did you understand it this time? That’s a little better. See? If you’re going to rant, try not to ramble on incoherently because otherwise my readers, whom I “assault” on a daily basis (yet they keep coming back for more), are likely to mistake you for a raving lunatic. Or even worse, a raving Canadian lunatic. Yes, Dave, brilliant! Utterly brilliant! Bravo! Look Ravi, try to use short, declarative sentences. Then people might be able to understand what you’re trying to say. Take your meds CC, your losing touch with reality. Yuh-huh. Hitler had gangs of thugs roaming the streets beating up Jews, gays and Gypsies, he used wide-spread intimidation and vote-rigging and still couldn’t win a majority, and published a book in which he advocated racial purity. Oooh that’s just so like that evil Obama. What access to health care and education? That must be anti-American commie talk. By the way, it’s a false claim that Hitler legally established his dictatorship. He was nominated as replacement Chancellor and then set about asserting control through outright physical intimidation of the opposition – and he never, ever won an election. On the basis of this victory, Hitler demanded that President Paul Von Hindenburg appoint him Chancellor of Germany. Hindenburg, who despised Hitler, resisted. Finally, on January, 30, 1933, after various political maneuverings and intrigues on the part of the conservatives to avoid having Hitler become Chancellor, a coalition government was formed whereby President Paul Von Hindenburg reluctantly appointed Hitler Chancellor. This appointment, while perhaps controversial, was entirely legal under the German constitution. Then came the Reichstag fire on February 27, 1933. Maybe the Nazis set the fire, maybe it was the Communists, who knows. But Hitler was a mastermind at making the most of whatever fate threw his way – you know, never let a good crisis go to waste. The next day, Hitler persuaded Hindenburg to issue a decree entitled, “For the Protection of the People and the State,” which suspended the constitutional guarantees pertaining to civil liberties. 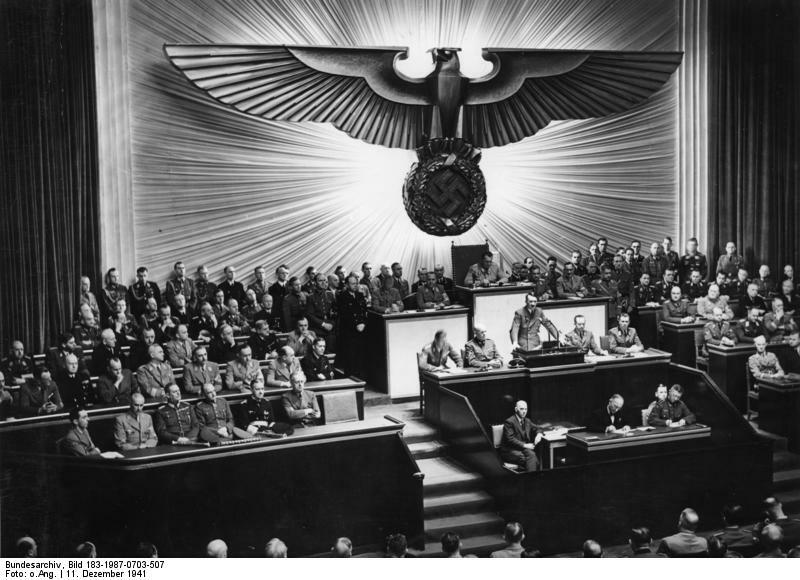 Two weeks later, the vote was taken on the Enabling Act which made it very easy for Hitler to assume dictatorial powers. None of the above was contrary to German law or the German constitution. The point of my article, in case you missed it, is that ruthless leaders assume power incrementally and legally at first. Then when everything is a fait accompli, the larger power grabs can be made. Just today, I saw on the news that threats of violence against Congressional Democrats are being politicized. Could this be the next crisis that they won’t let go to waste? All well and good, but what exactly are your reasons for suspecting that Obama has veiled intentions? Where is the evidence that his plans for healthcare conceal a hidden agenda? Outside of claiming that there is some sort of un-American, socialist plot lurking behind the administration – what exactly are you basing these things on? And what exactly is it that you imagine Obama wants to do with all this power he’s supposedly accumulating? What is the evil plan? By the way there’s a good few things wrong with your take on the Nazi’s rise, like for example that Hitler demanded to be made Chancellor – Hindenburg made him Chancellor, even though the Nazis were dropping like a stone in the polls, because his advisers convinced him it was the only way to stop the Communists. Rather than Wiki, I would suggest taking a look at Henry Ashby Turner, Jr’s “Hitler’s Thirty Days to Power”, basically a clinical, day by day dissection of the month leading up to Hitler’s chancellorship. Wiki? No, I didn’t Wiki that one. Read Shirer’s Rise and Fall and Fest’s Hitler. I can recommend others as well if you’re really interested. Hindenburg was getting pressures from all quarters and Hitler of course demanded he be made Chancellor – they were the plurality party and that was, as he saw it, his due. But Hitler also knew how much Hindenburg hated the little Bohemian corporal, as Hindenburg was fond of calling him, and therefore knew that short of Hindenburg’s death the Nazis would have to attack on multiple fronts. As fate would have it though, Hitler didn’t need to do much because two conservatives, Franz Von Papen and Kurt Schleicher, both Chancellors themselves at different times, enabled Hitler into the position with their own intrigues and counter-intrigues. As far as Obama’s veiled intentions, as you put it, in about ten minutes check my reply to your prior comment on how Communism and Fascism “apply” to the Obama adminstration.